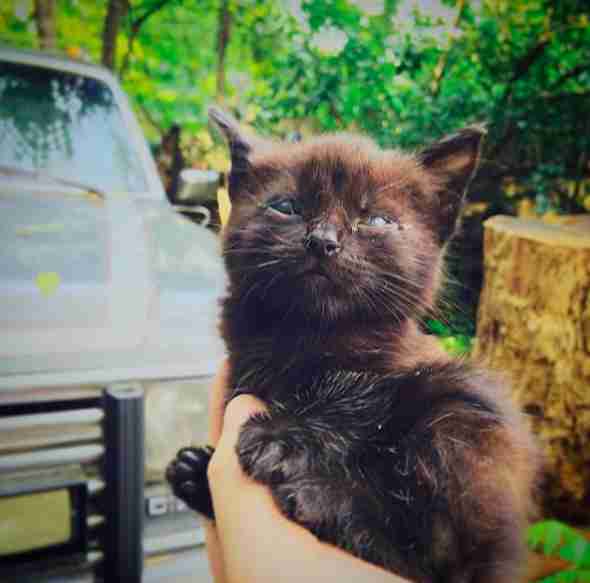 Hannah Erbe was taking an art class when she found a tiny kitten hiding in a wood pile on her teacher’s property. The kitten was feral, but he clearly had some major issues with his eyes, so he couldn’t see Erbe at all and therefore didn’t run away from her. Erbe knew the kitten wouldn’t survive without some serious help, and so she quickly made the decision to take him home with her. 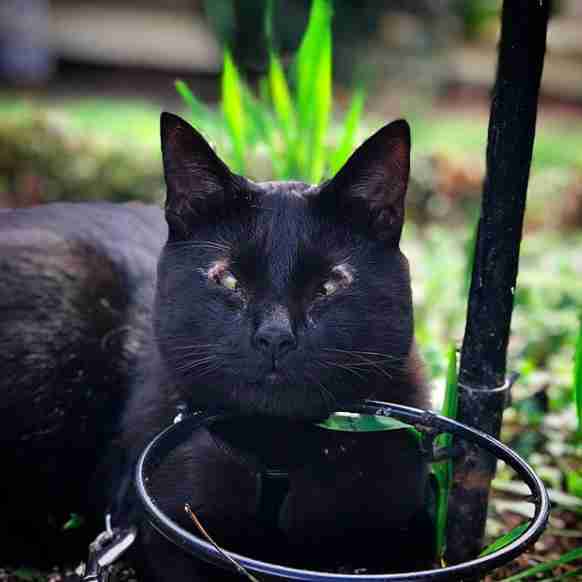 Erbe knew right from the beginning that the little cat — whom she later named Inky — had issues with his eyes, but she didn’t realize how severe they were until a vet looked him over, and didn’t seem very optimistic at all. 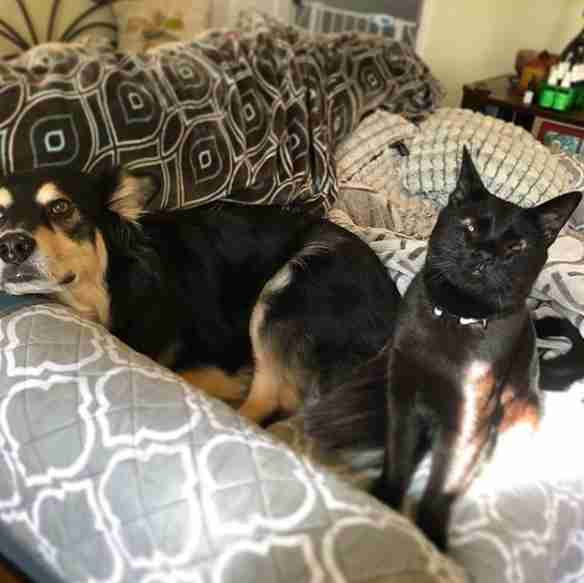 Despite what the vet said, Erbe quickly became very attached to Inky, and knew there was no way she could give up on him. She decided to officially adopt him, and began working hard to overcome his numerous eye issues. As time went on, other issues with Inky’s eyes began to emerge. Besides eyelid agenesis, Inky also has keratitis and anterior segment dysgenesis in both eyes, and also happens to be cross-eyed. 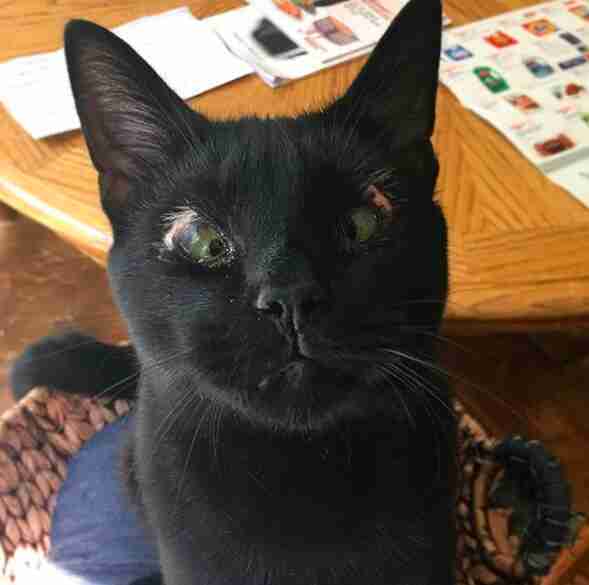 Despite all his eye issues, Inky doesn’t seem to have any idea he’s any different — especially since he has the best brother and friend to help him through it all. 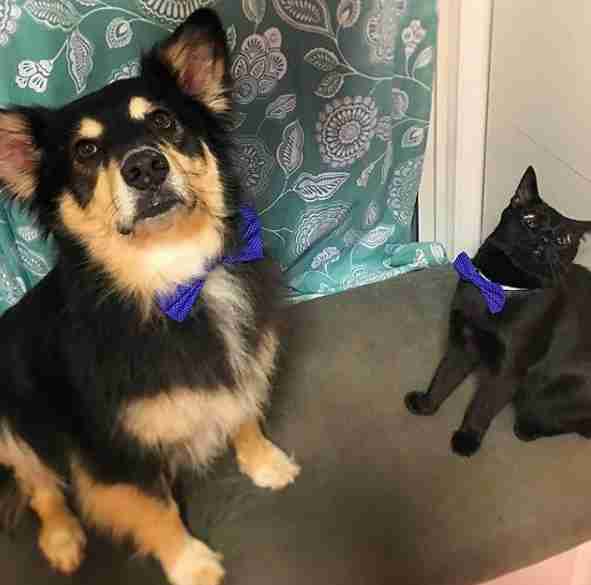 Jasper has been with his mom for two years now, after being rescued as an injured stray. 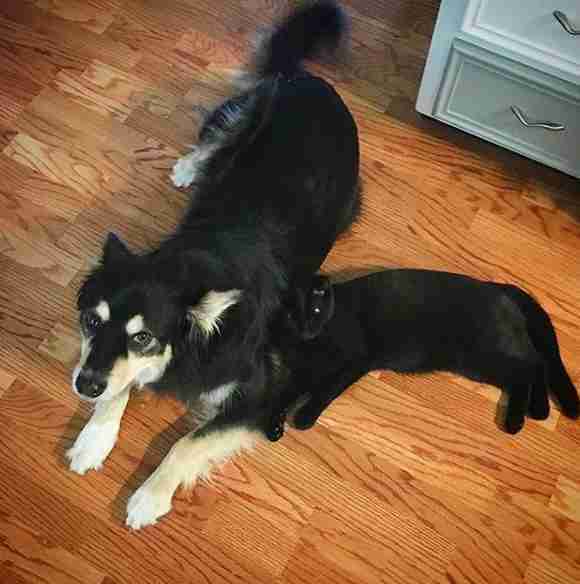 He’s always been a sweet, quiet dog who loves going with the flow, so when his mom brought little Inky home, she wasn’t too worried — but had no idea just how close the pair would become. 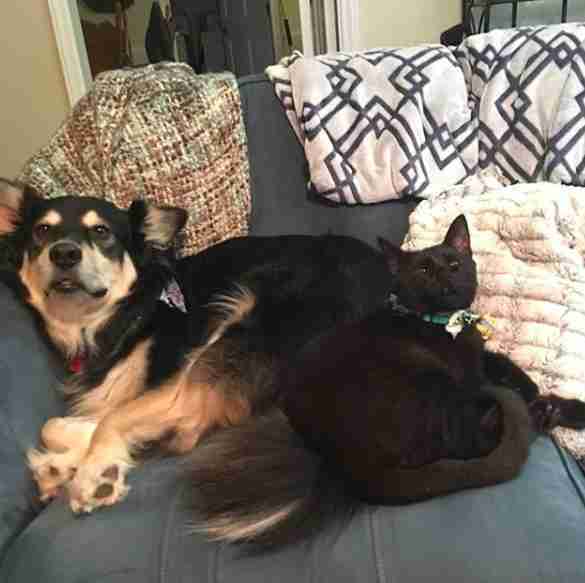 Pretty much from the very beginning, Jasper and Inky have been the best of friends. They do everything together, which mostly consists of napping side by side on the floor and following their mom around. Jasper helps watch over Inky, and has also helped him to come out of his shell. Inky still has a lot of battles to fight going forward. He’s going to need many therapies and treatments to ensure that he stays healthy, but his mom is willing to continue to fight for him — and luckily, he’ll always have his best friend Jasper by his side to help him through it all. 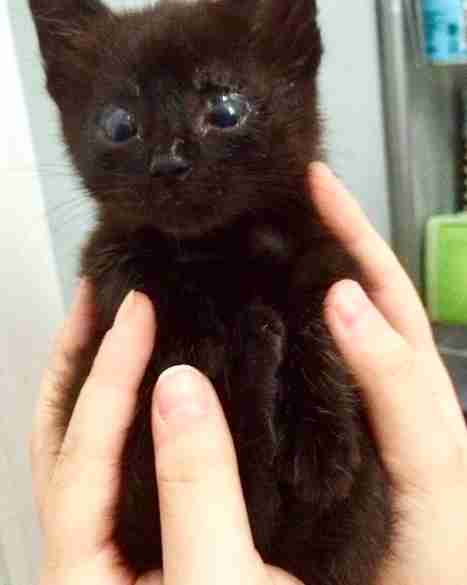 If you’d like to help Inky and his eyes, you can donate to his GoFundMe page. You can follow Inky and Jasper’s adventures together on their Instagram account.